If you have installed an irrigation system, MTMSA allows the water usage for the system to be deducted from your quarterly public water reading prior to preparing your quarterly sewer bill. 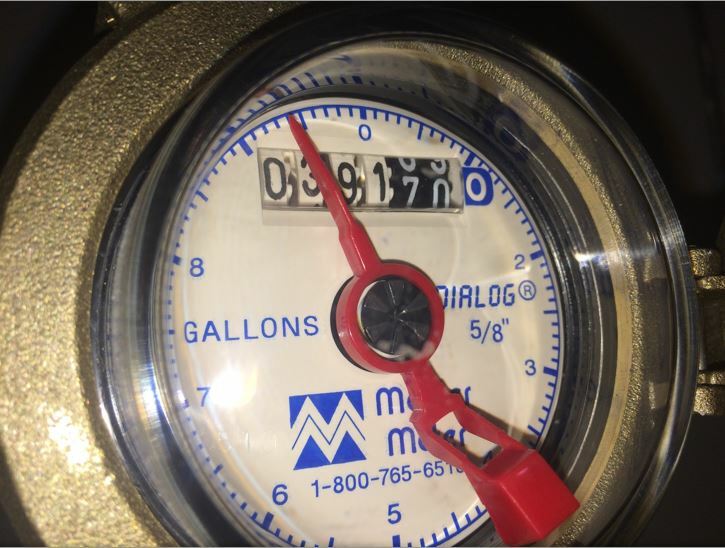 Meters can be purchased at plumbing supply businesses or possibly from the irrigation system installer. We would recommend that you have your plumber or irrigation system company install the meter. Once the meter is installed, you need to take a photo of the face of the meter and email it to mtmsa@mtmsa.org. When you receive a water bill from your public water utility (and your system is in use) take another photo of the meter face and email to us at the same address. Providing the reading when you receive your water bill is the best way to insure it closely aligns with the same usage period. Below is an example of the meter face photo.